This podcast is all about guiding, encouraging, and equipping Christian dudes to live the manly life that God's calling them to live. We also want to help you laugh a little because laughter definitely makes life more BEAR-able! 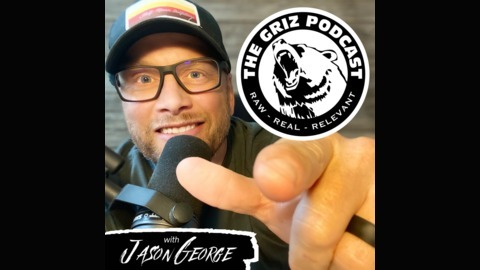 Jason George is a follower of Christ, husband, dad, itinerant speaker, podcaster, home improvement dude, hunter, fisherman, mountain climber, coffee snob, and Lyme Fighter! !!WARNING!! - This podcast does sometimes contain MATURE CONTENT and is NOT suitable for children! 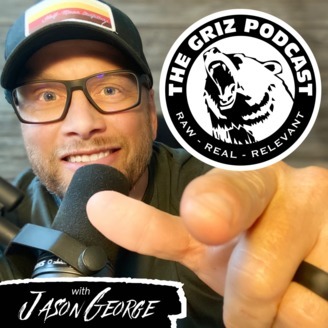 Visit our official page at ... www.theGRIZpodcast.com You can also find the GRIZ on ... - Facebook - Twitter - iTunes - Stitcher - SoundCloud - Google Play - Spotify ©Copyright 2018: Jason George - The GRIZ Podcast - www.theGRIZPodcast.com and Narrowtrail Ministries Inc. - www.narrowtrail.com You can email Jason at ... Jason@Narrowtrail.com. E-63: I've changed the way I view and treat homosexuals! In this episode, Jason shares some hard-hitting truth as to why he's changed the way he views and treats homosexuals. He also shares some practical advice on how we should respond if a friend or family member tells us that he/she is gay. This episode is definitely not suitable for children. Very mature content. E-60: It's Manly to Fight!